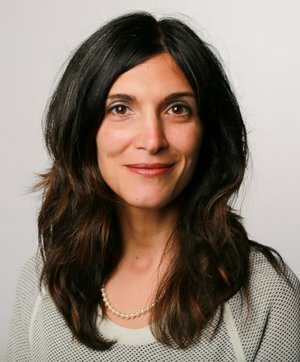 CHICAGO (July 17, 2018) -- Chicago-based metaMe Health has announced the launch of the company’s Business Advisory Board and welcomes Maryam Saleh as the founding Board Member. metaMe is developing Regulora™, a digital therapeutic for patients with Irritable Bowel Syndrome (IBS). Saleh’s experience, which includes taking early roles in a number of new ventures in the Chicagoland health tech arena, is a perfect fit for metaMe Health, which was incorporated in early 2018. Most recently, Saleh was entrepreneur-in-residence at Abundant Venture Partners, where she specialized in the validation of data science businesses. Prior to that, Saleh was VP of Chicago’s healthcare technology incubator MATTER. She also helped launch a number of medical device startups out of Northwestern’s Innovation and New Ventures Office. Earlier in her career, she was a founding member of Cyberkinetics Neurotechnology Systems Inc., a company that built a brain implant to restore movement in severely paralyzed individuals. Located in MATTER, metaMe Health was founded to help the more than 30 million Americans with IBS obtain much-needed relief. Instead of drugs, which treat only the gut symptoms, the company provides relief through a standardized Brain-Gut therapy approach that has been clinically proven to be effective in treating IBS. Patients access Regulora™ through the company’s HIPAA (health privacy)-compliant platform, metaMe Connect.